Galena Pointe - Follow me outside to great backyard with huge pool,outdoor BBQ island,new covered patio ,fire pits,BBQ smokers new patio furniture. All items included with home!! ! MLS#2024499. Elite Realty. 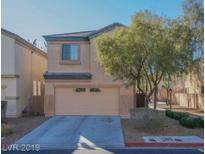 Sierra Ranch Village - Home On Video Surveillance & Neighbor Watching Home MLS#2025956. Milestone Realty. Centennial Bruce - Open And Inviting Living Room With Separate Family Room Open To The Kitchen. Dining/Kitchen Area Is Spacious! MLS#2025792. Principle Realty Advisors. 3 bedroom home, granite kitchen countertops,raised panel doors, energyStar plus, low E windows, soft water system, brick paver driveways, 10- year structual warranty. MLS#2024784. 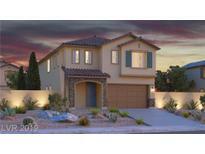 KB Home Nevada Inc.
All the upgrades and after purchase expenses already done for you. MLS#2024961. RE/MAX Excellence. Come View Today! !lease Buyout-30 Day Move-in MLS#2024871. Turn Key Property Solutions. 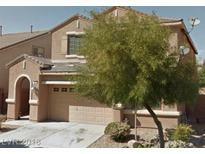 Lone Mountain Losee - Come view today! 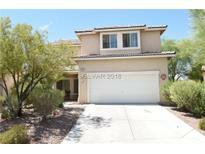 !LEASE BUYOUT-30 DAY MOVE-IN MLS#2024573. Turn Key Property Solutions. Sierra Ranch Village - Freshly painted and ready for you to move in! Bring All Offers MLS#2022721. Executive Realty Services. Somerset Estates - Nice yard with porch and patio. Make an offer today. MLS#2023171. 81 West Realty. It will boast a bedroom suite downstairs with full bath, powder room, covered patio, upgraded recessed lighting, ceiling fan pre wires, 22 ft deep garages, seperate tub/shower in the master bath. And much more. Come visit! 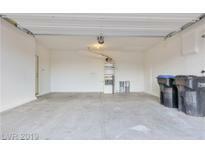 MLS#2020549. New Door Residential. 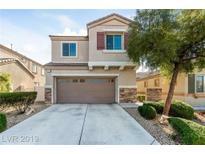 Arden Place - The community has a Park, Pool, Spa, Club House and sits next to Nellis Air Force Base which makes it a great rental or first home. Show and Sell. MLS#2019451. Addicted Realty LLC. Beautiful 5 bedroom home on a large lot in Established Neighborhood - Remodeled Kitchen and Porcelain Floors Throughout MLS#2019060. GK Properties. Loads of architectural features in this popular floorplan. MLS#2018327. eXp Realty. 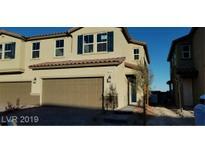 Northstar Estates - 3 car garage, and low HOA fees. Must see! MLS#2017596. Rock Realty Group. This house has a huge lot with RV Parking and extra workshop. Don't miss out. MLS#2017632. City National Properties. Granada Pointe - This home also boasts new carpet on the second floor 3 BIG secondary bedrooms, a HUGE loft, private backyard, new A/C unit, washer/dryer included and a 3 car garage! MLS#2015113. The Real Estate Friends. 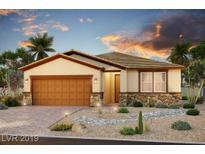 Cobblestone Ridge North - Easy To Care For Desert Landscaping And Solar Screens. All Appliances Stay. MLS#2014032. Signature Real Estate Group. Regal Estates - *ask About Our Rent To Own Lease Option Program*lease Buyout-30 Day Move-in MLS#2013788. Turn Key Property Solutions. Donna Deer Springs - The master bedroom can be you own mini penthouse with relaxing bath good size secondary rooms act today dont delay! MLS#2011074. Platinum R.E. Professionals. 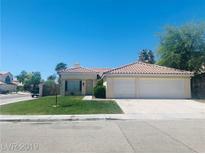 Las Palmeras - Don’t miss out, Make an offer today! ! MLS#2009932. Compass Realty & Management, L.
Minutes away from major freeways, Nellis Air Force Base & Downtown Las Vegas! Tenant occupied $1400/month. MLS#2006714. Signature Real Estate Group. 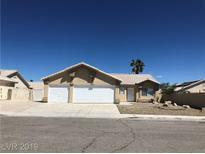 Great Rental Income Property....Single Story Home With 3 Bedrooms 2 Full Baths,2 Car Garage,Ample Kitchen,Breakfast Area,Huge Lot,Home Is Near Shopping Plus Much More...This One Will Not Last!! ! MLS#2008223. Century 21 Americana. Eldorado - Sellers are willing to sell the home fully furnished MLS#2007694. RE/MAX CENTRAL. Don't wait to come view this home is amazing! !LEASE BUYOUT-30 DAY MOVE-IN MLS#2007631. Turn Key Property Solutions. Wait until you see this backyard it's HUGE the possibilities are endless.LEASE BUYOUT-30 DAY MOVE-IN MLS#2006625. Turn Key Property Solutions.